Senior living residential AV solutions are used in housing and continuing care facilities for residents that are 50 and older. AV management solutions are found in multi-tenant retirement communities, independent living residences, and assisted living facilities. Senior Living facilities face many challenges, including keeping residents happy, engaged with their community, mentally and physically active, and spiritually connected. Even the best management and finest staff will need quality tools to fulfill these needs. One tool that is often underutilized is the ubiquitous television. TVs are not only a central part of the residential space, but they also occupy prime real estate such as entry ways, common areas, conference rooms, and cafeterias. Unfortunately TVs are rarely leveraged for community engagement. What if there was a way to create community specific TV channels from the screen on a PC, output of a DVD player, from a web page, or even videos recorded on a phone. 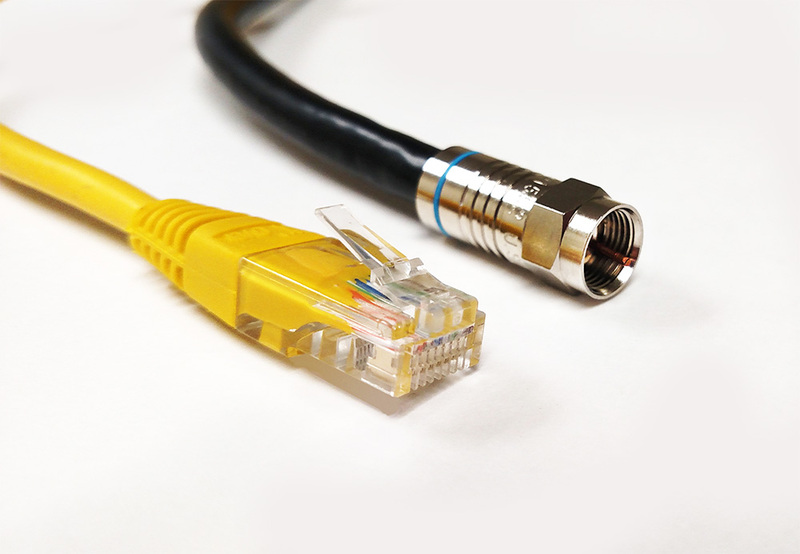 Our solutions are designed to scale from the simplest, one source – one channel application to a full cable TV channel lineup, the FlexStream™ MX products can fit every senior living need. We typically recommend the MX-400HY for this application, but other models including customized solutions may better fit your needs. Use this feature to create a training channel, a calming, mood setting channel, locally produced entertainment, or even an exercise channel. Any video you can record or capture to a file can be played back as a channel. West Pond has made it easy to create your own TV channel from a collection of recorded files. Collect files from DVDs, mobile phones, video editing tools, power point, or any video capture device. 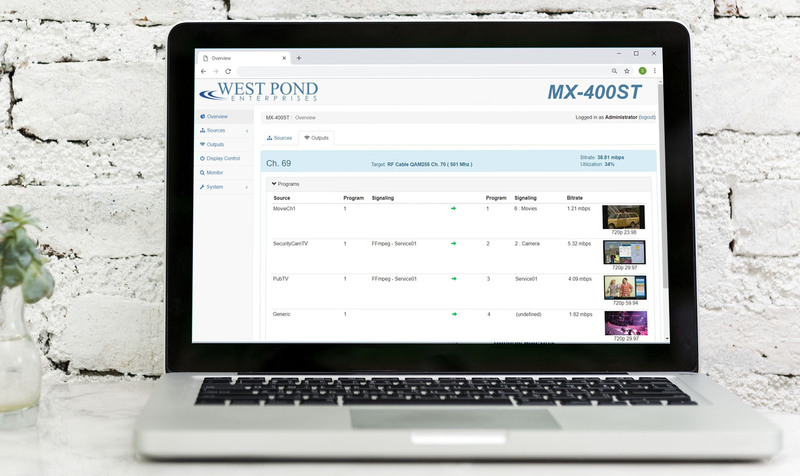 Use the West Pond FlexDM transcoding service to convert the files to a TV compatible format and manage the new channel using FlexDM’s remote access capabilities. .
Use the video wrapper to add web page graphics and media to your any new channel. Scale the video of your choice and wrap the remaining screen area with one of our templates to create a signage channel with information your residents will appreciate. Weather, Menus, Familiar faces, Photos, Event announcements, Activities, Air Quality, Trivia, and News Feeds. Use one of our prebuilt templates, or work with West Pond’s creative services to make the perfect TV media channel. You no longer need to cart the special purpose PC from building to building, just connect it to the FlexStream MX HDMI capture port and tune any or all TVs to the new TV channel. Want to talk to the viewers? Connect a microphone to the PC and output the audio to the HDMI display. Viola, every TV tuned to this channel has your voice as well. WiFi and LAN cameras are inexpensive devices that can be mounted indoors or outdoors and accessed by any connected device. That includes the MX-400! So place a WiFi camera where they can watch the weather, sunset, birds, flowers, wildlife, or any picturesque scene and then map it to a TV channel using one of the FlexStream MX products. Mount a WiFi camera in the chapel and provide the bed ridden with a familiar service. The FlexStream MX products can connect to a networked camera and create a TV channel from it. Access a few strategically placed IP security cameras from any TV. Share access to public area cameras of general interest. Tired of distributing DVDs and training staff to use the various inputs to common area TVs? What if you had one DVD player that fed all TVs though the facilities coax network? Now you can with the MX-400 family of products. Note: Composite, Component, and HDMI (sans HDCP) connection required. Composite and Component recommended. Perhaps you want to create a slide show of photos using the MX-400 video wrapper. This is a nice feature, but wouldn’t it be better with audio? That’s easy. Just connect the red and white RCA stereo audio jacks to your radio, MP3 player, iPod, or any device with a head phone jack. Select the capture port as the wrapper input, and you now have audio with your slide show. It’s that easy. Many retirement communities are well positioned to receive subscription free ATSC broadcast HDTV. Use the MX-400HY to add broadcast TV stations to your house cable TV channel lineup. Perhaps you no longer want to receive cable TV, broadcast TV is a great way to fill the channel lineup. Use the MX-400HY satellite receiver option to create channels from unencrypted satellite sources. This feature is a great asset where satellite access is the only TV transmission available. While some free to view content is available in the USA, reception requires a 3 meter dish. Contact a satellite professional for installation of this service. The features that allow you to show customized content, signage or programs on your TV’s are all available in the MX-400HY. Video wrappers are the most common way to add custom content to your display(s). You can display graphics, photos, text, fonts, other videos, weather, and more. Use the video wrapper to add web page graphics and media to your new channel. 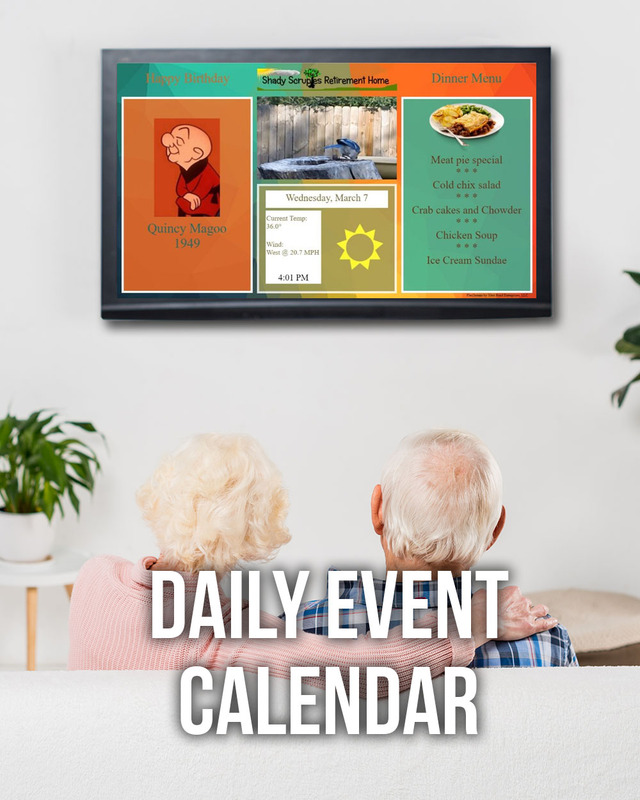 Scale the video of your choice and wrap the remaining screen area with one of our templates to show time, temperature, birthdays, logos, local businesses, and more. Customize the templates to meet your needs, or work with West Pond’s creative services to make the perfect TV media channel. Create SD and HD digital TV channels for broadcast over in-house cable TV networks using the integrated DTV modulator. Tune a common area, lobby, or café TV to a dedicated signage channel to create digital signage without any additional special hardware. Do you have a green building? Would you like the common area displays off at night? Our system provides the technology to control the power and channel of common area TVs based upon time of day, a scheduled event, or on demand. Our RX-50 display controller devices sit behind each TV and await MX-400HY commandS. Use the MX-400HY web UI to control one, many, or all the TVS in groups. No need to search for those remotes and wander throughout the facility to control each TV., the MX-400HY and RX-50 can do it for you. Create TV channels for broadcast over in-house IPTV networks using any of the four MX-400 GigE network controllers. Use the FlexStream MX-400 IPTV output feature to feed IPTVs directly or as an ancillary input to a secure headend such as the Technicolor Com1000 or Com2000. IPTV outputs also provide future proofing. If you are using the RF output today, but find later you have new buildings that are wired for IPTV, the FlexStream MX-400 is ready. Monitor any video as it enters the MX-400HY using the QVGA full motion video front panel. Access the built in Web based user interface from any browser to view channels, modify content, or control displays. FlexDM remote management gives you access to the FlexStream MX-400HY smart headend system from anywhere and from any device. Just login to FlexDM.net and select your device. Check the status or remotely access for full control. With FlexDM, anything that can be done locally can be done remotely. Installation and remote management are a breeze when you have access to this tool. Use this tool to monitor the house RF to find the best place for your new channels, then watch them remotely on a mobile phone or other connected device to ensure everything is running perfectly.